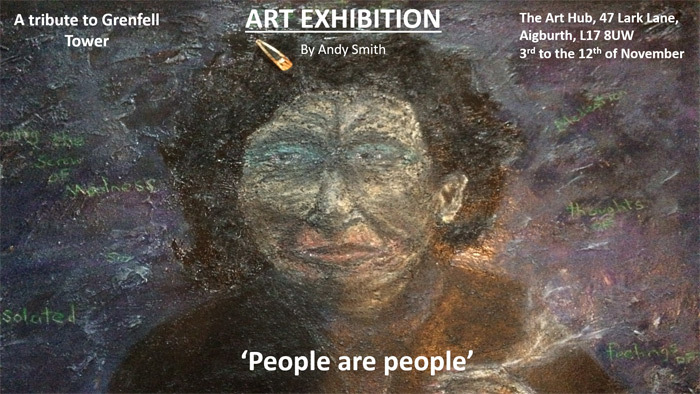 ‘People Are People’ is a collection of paintings of various mediums by the social realist artist Andy Smith. Andy was born in Brixton, South London in 1963 and lived there for fifty years before moving to Liverpool five years ago. Andy’s paintings are inspired by childhood memories of living in the inner city with all the social, multi-cultural influences which arise from the environment. In the exhibition there’s a tribute to Grenfell Towers which Andy knew as he socialised within that part of London in the 1980s. Next Post: The Monday Kitchen – 10 stylish meals you cook & eat! 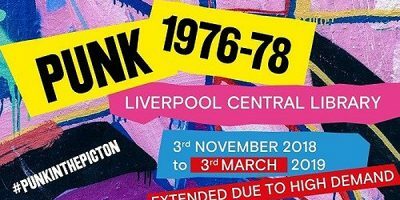 Rob Harrison reviews Punk in the Picton, the Punk Rock 1976-1978 Exhibition on at Liverpool Central Library till 3rd March 2019.